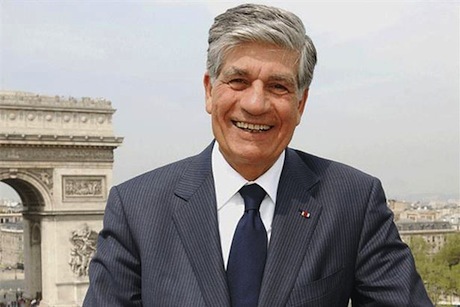 Publicis Groupe has reported organic growth of 0.7% in the third quarter of 2015, with slow growth in Europe and North America mitigated by a strong performance in Asia-Pacific as well as the Middle East and Africa. Organic growth — which factors out acquisitions, disposals and currency fluctuations — was 0.6% in Europe, where revenue reached €625 million ($707 million), and 0.4% in North America, where they reached €1.3 billion ($1.5 billion). In Asia-Pacific, sales grew 4.3% organically to €260m ($294.1 million); in the Middle East and Africa, growth was 6.1% to €61m ($69 million). Latin America continued its decline, with an organic drop of 7.5%, leaving sales at €87 million ($98.4 million). The UK, Russia and Mexico were among the countries in negative organic growth in the period, while organic growth in both the US and France was between 0% and 5%. Mainland China, India and the UAE had organic growth above 5%. Total revenue across Publicis grew 33% €2.3 billion ($2.6 billion). Across the first nine months of 2015, digital organic growth was 4.1%, with an analog organic decline of 1.2%. Publicis said its Sapient business was back to growth in the quarter, growing by around 5% organically. The company said it expected full-year organic growth to be around 1% overall. Publicis also owns Saatchi & Saatchi and BBH.